Disney’s Descendants has taken the world by storm. I know my niece ate it up like it was the last show she’d ever watch. Fan fervor has reached such a fever pitch for Disney’s Descendants that a sequel script has been commissioned from the movie’s screenwriters, Sara Parriott and Josann McGibbon. It’s no secret that Disney’s Descendants was a smash hit. The movie was received with open arms all over the world, and the fan love is still going strong. Disney’s Descendants was a new imagining of the lineage of Disney villains that made the world care about villains in a way they never had before. In fact, it was cable television’s fifth highest-rated movies of all time. The July 31st premiere of Disney’s Descendants, a Disney Channel Original Movie delivered over 12.2 million total viewers in the U.S., including 3.1 million adults aged 18 – 49. It’s true family entertainment, and it was also the number one cable TV movie in nearly three years in the demographic. It also broke viewing records on the WATCH Disney Channel app, where it’s posted 3.3 million videos views since July 24th. The global phenomenon that is Disney’s Descendants has taken global markets by storm. Australia, Argentina, Mexico, Colombia, Peru, Chile, and Brazil have embraced the movie in a huge way, as have other countries around the world. It’s even inspired novels that are taking off like rockets. To celebrate the massive positive reception of Disney’s Descendants, on Saturday, October 17th, stars of the movie, Dove Cameron, Cameron Boyce, Booboo Stewart, Sofia Carson, and Kenny Ortega will be featured in an on-stage music and dance-filled event a Downtown Disney District, Disneyland Resort in Anaheim, California. They’ll be celebrating the fans that made the movie such a resounding success. I’m not surprised that Disney’s Descendants has a sequel in the works. Obviously, my niece wasn’t the only kid to go absolutely crazy over the movie. Even adults got in on the action. I’ll be giving you the scoop as more information on the sequel to Disney’s Descendants becomes available, so check back! I didn’t see the movie, but I read the book (bleh). 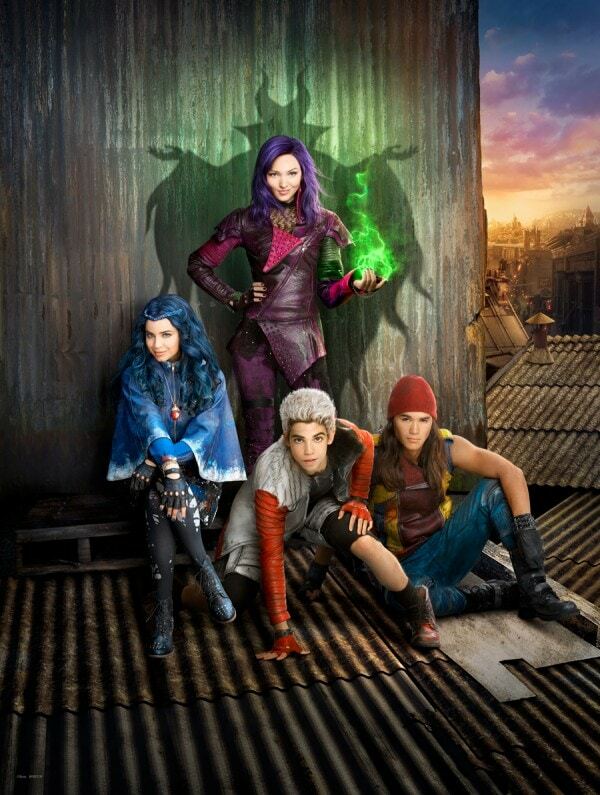 The Disney Descendants is an awesome movie that we all enjoyed! I am thrilled that they will be making another Sequel! I can not wait to see it with my daughter!